8 oz. Red Apothecary Reed Diffuser Bottle is one of the most popular styles in reed diffuser bottles. 8 oz. 5 1/8" tall. 2.5" diameter. 3/4" opening. For long-lasting fragrance it holds 8 oz. 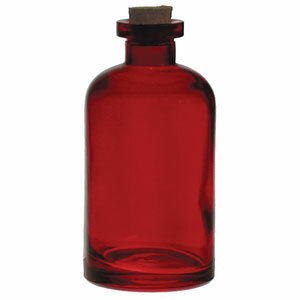 Red Apothecary Reed Diffuser Bottle. 8 oz. 5 1/8" tall. 2.5" diameter. 3/4" opening.